The sister ties a sacred thread called rakhi on her brother’s wrist for his well-being, the brother bestows blessings and gifts and vows to protect her sister. This is what Rakshabandhan is all about. 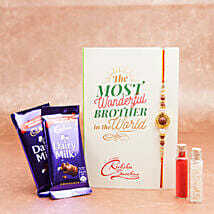 The celebration of the sweet and loving relationship between a brother and a sister and their special bond. And there may come a situation when your brother might not be with you to celebrate Rakshabandhan. 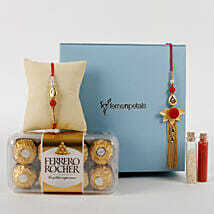 Send Rakhi to Karaikudi through Ferns N Petals. You can also send chocolates and flowers along to make it bigger. 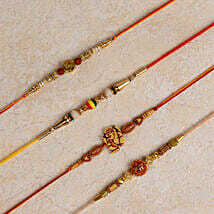 Wondering about how to send rakhi to your brother who is far away at Karaikudi? Do not worry, we have the solution. All you need to do is visit our online portal. 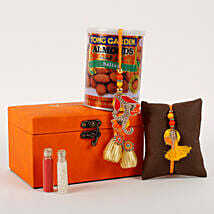 We have a wide range of rakhi collection for you to choose from. 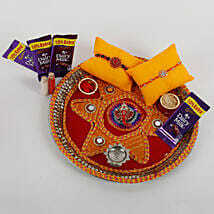 All you need to visit our portal and place an order to send rakhi online to Karaikudi from the comfort of your home. 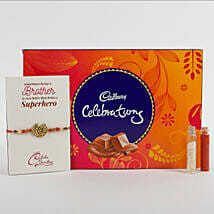 And to make your brother happier, you can send rakhi with chocolates online through us. 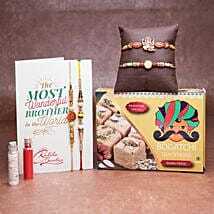 After you have selected the perfect rakhi for brother, all you need to do is make the payment, input the shipping address of your brother in Karaikudi and place your order. 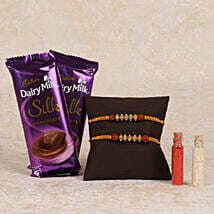 We shall ensure the online rakhi delivery in Karaikudi to your brother. We provide free shipping for you and also provide same day delivery charging a little extra. But we ensure that your brother gets your love. 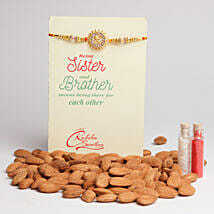 Besides rakhi, you can also send rakhi dry fruit combos to your brother through our online portal. We aim to bring smiles on your and your brother’s faces.